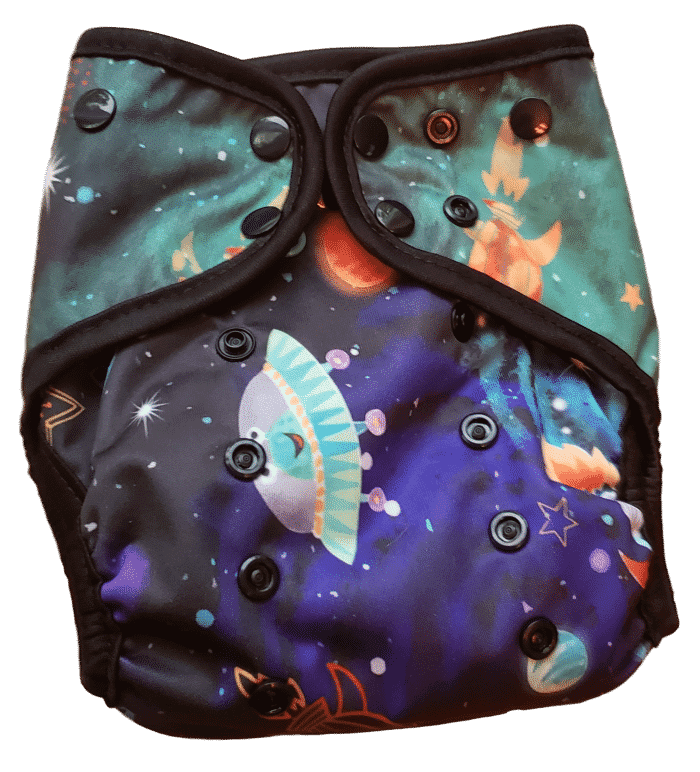 I was given a Lalabye Baby Cover and Bamboo insert set to try out in the Out of this World print. 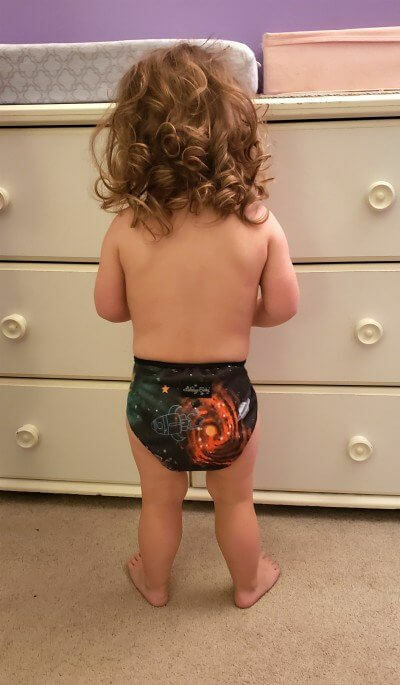 I think it’s a great cover option for any family using cloth diapers. Check out why! The Green Tot Spot was awesome enough to send me the cloth diaper to try out. All opinions expressed are honest and true. I just want to mention that The Green Tot Spot has free US shipping on all orders over $5. 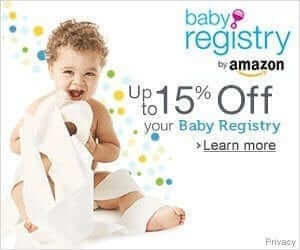 They also have a newborn cloth diaper rentals and 10 day trial programs. You can find more info here! This is a shop that I recommend you check out! It’s like she read my mind and carries all the products I love! 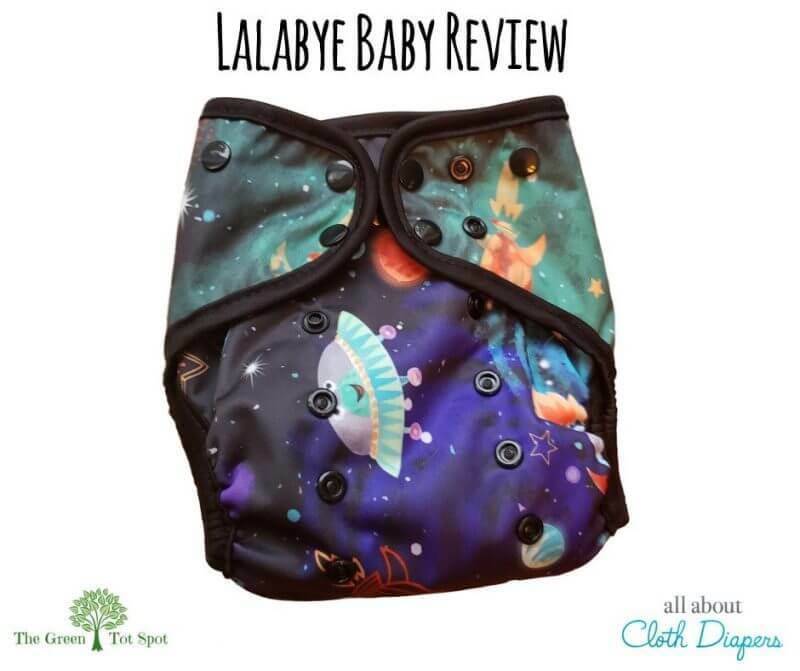 On to the Lalabye Baby review! Good quality TPU. TPU is the outer waterproof material. It is heat sealed versus chemically sealed like PUL is. The snaps are strong. And color coded! This is a great feature that helps parents and caregivers get the perfect fit every time. Just figure out where the cover fits best and snap closed on that color until you need to size up! The inserts I received are the Lalabye Baby Bamboo insert and booster set. They were super soft and seemed really trim. I never really prep cloth diapers before I use them. I usually do one wash with my regular laundry (just no fabric softener) and call it ready to use. Just be aware that natural fibers like this bamboo insert take around 8 washes to reach full absorbency. Adjust accordingly with more frequent changes or by adding a booster until they get there. I’ve used the cover and inserts for almost two months now. I can tell you that there are many brands of bamboo inserts that get all wavy and wonky after repeated washes. That drives me crazy. You know what though? Not these. The LaLabye Baby Bamboo insert set comes out of the drier and lays nice and flat. Just the way I like it! They held 9 oz in my absorbency tests. It’s a respectable amount for a day time cloth diaper. I wouldn’t say that it’s enough for super long naps though or a kid who is a super wetter. The Lalabye Baby Hemp inserts might be a better choice in those situations. Or since the inserts are so trim in the first place it would be easy to add another insert to boost the absorbency even more. Norah is two now and weighs about 30 lbs. I used the highest rise setting for her. There’s still lots of room in the waist but I would guess the 35 lb limit to be pretty accurate. I found the cover easy to get a good fit in. 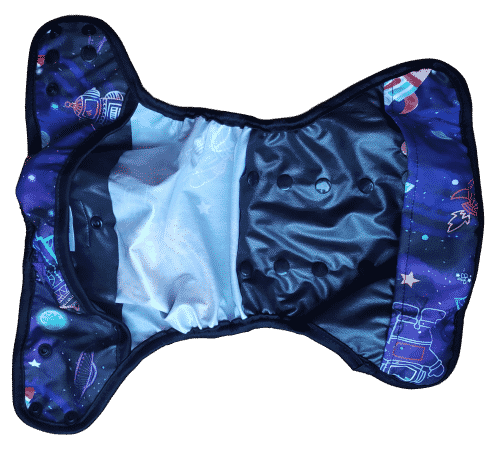 They are easy to reuse as the inside has a wipeable interior. 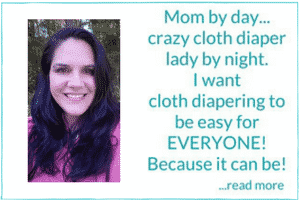 You can either use it as an all in two with the matching Lalabye baby snap in inserts or use any insert, prefold or flats that you have (just no microfiber because that can’t go against skin). Just lay them inside the cover. As long as they fit inside they work! 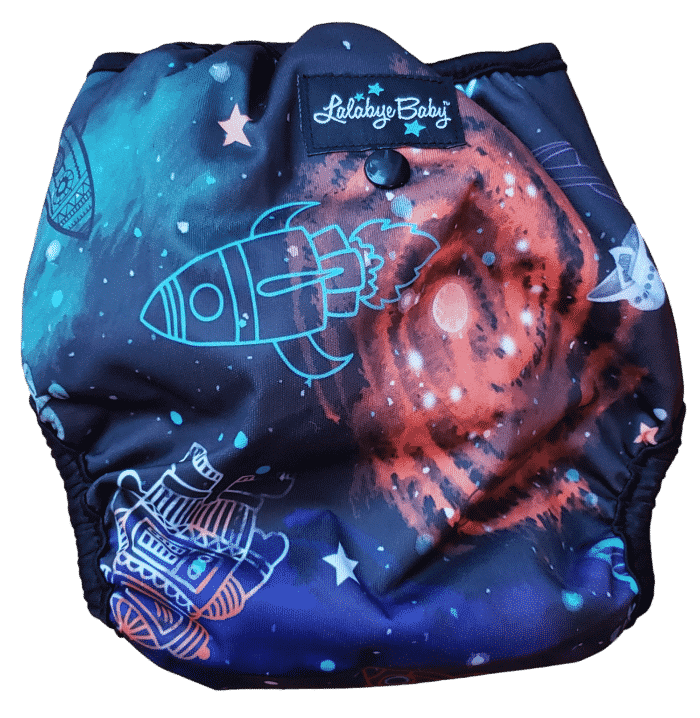 The Lalabye Baby cover features three rise settings, hip snaps and crossover snaps to fit smaller babies. They are designed to fit from birth to 35 lbs. I think if you have a chunkster with super luscious thighs that the legs might be too small at the higher weight ranges. I didn’t get to try it when Norah was chubbier, but I think it would probably be fine for most babiest. The cover has both front and back interior panels that the inserts go under. It’s a feature that stops wicking issues and tummy leaks for stomach sleepers. I really love all the adorable prints that are available. The color coded snaps are a great way to make getting a good fit easier. Maybe just make the rise a tiny bit higher. But I make tall kids so I always wish for extra rise! Lalabye Baby Diapers are designed in the USA and responsibly made in China. Covers are $16.50 and inserts start at $10 for a set. You can find a great selection at The Green Tot Spot. There’s free US shipping on all orders over $5! Are you a Lalabye Baby fan? I’d love to hear what you think of them!